Ultrasonic flow meter is a type of flow meter is widely used in industry to measure the flow characteristics of the fluid from the flow velocity, flow capacity, and the total amount of fluid flowing. In addition to measuring the flow properties of the fluid Ultrasonic flow meter can be combined to measure the calories of a fluid by adding the function of heat meters. 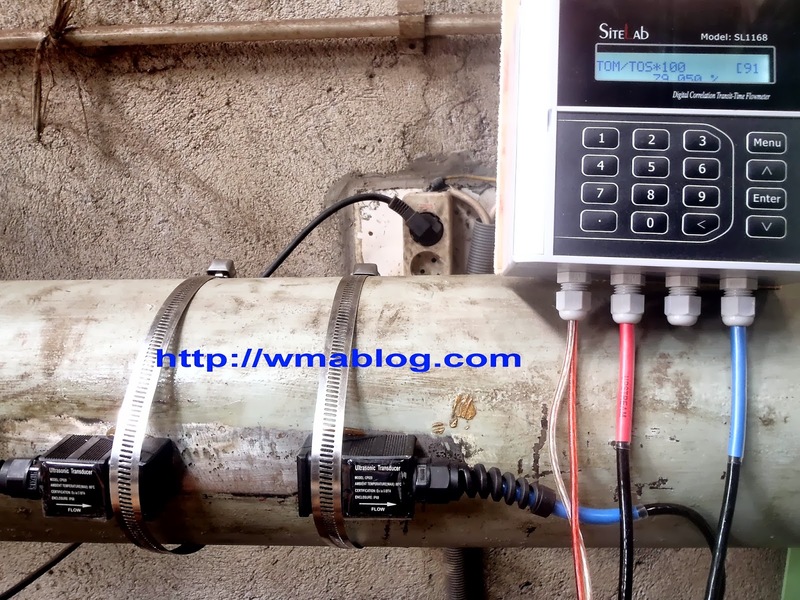 In terms of how to install Ultrasonic flow meter has a completeness in many ways the installation of in-line type of installation, type of insertion to clamp on. For inline installations such as the type of flow meter is generally by cutting pipes in pairs side flange or threaded. Sensor or transducer of the ultrasonic flow meter form types inline pipe sensor mounted on the right and left sides of the pipe and flange or threaded. it is certainly going to be quite troublesome due to large size of pipe cutting costs is not cheap . On the other hand the setting of the ultrasonic flow meter and its accuracy will be more secure due to several variables of the pipe and the fluid already in the settings from the factory. The second type of installation that may be suitable for insertion pipe size is large, even though this type of installation is not as expensive as it is quite inline punching and then enter the pipe flow meter ultrasonic transducer but problems setting the variable distance transducer can be a serious problem if there is an error. 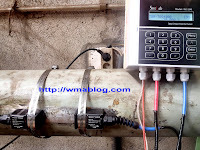 The third type of installation is the simplest and easily is clamp on transducer ultrasonic flow meter which is quite affixed to the outside of the pipe that had been conditioned and tied with portable clamp. 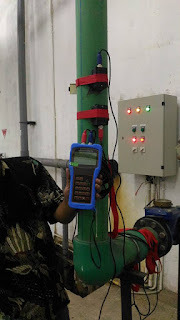 Installation type ultrasonic flow meter can also be applied to a portable flow meter because the installation process is quick and easy. It's just for the clamp on the transducer there is little complicated in terms of the input variables and fluid pipe, however we do not have to worry because every manufacturer of ultrasonic flow meters always give you instructions as well as the variables that must be inserted at the time setting . 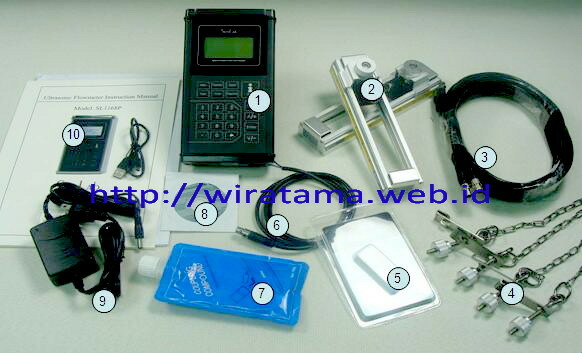 Here we will discuss about the type of transducer, transducer size and type of clamp on installation and other matters related to the clamp on ultrasonic flow meter.